...before the end of term. Yeah! Final exams aren't fun, but Winter Break is. And the weather is turning colder, wonderful when you get to be inside. Can't wait to sleep in. This week's blocks have been fun. 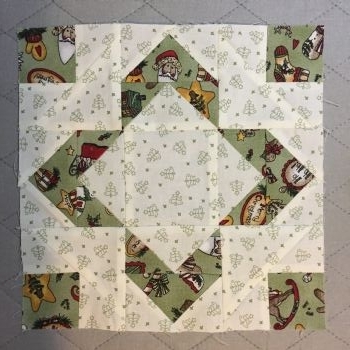 I love Christmas fabric. 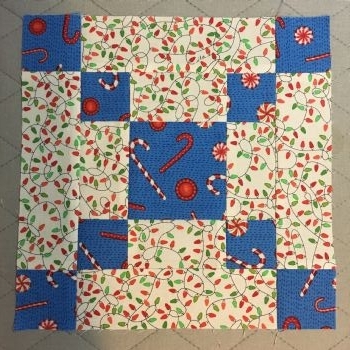 Monday's block - Pennsylvania - is candy canes and light bulbs. I had to finish it before leaving for the Observatory, then none of the kids showed. Still, quick and easy block. 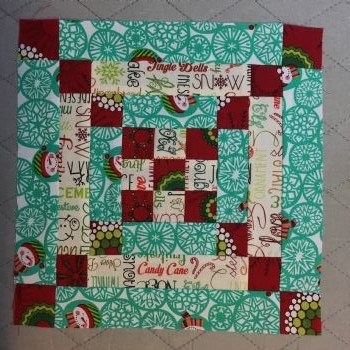 Tuesday's block - Puss in the Corner - seems rather restful and I really like the pattern. 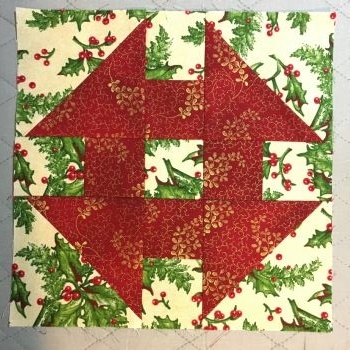 Maybe a whole quilt? Wednesday's block - Alabama - is busier. What's with all these state blocks? And it's just a continuation of the same theme. Today's block - Wrench - is one of my recent favorites. It goes together easily and quickly, and I happen to love my fabric choices.